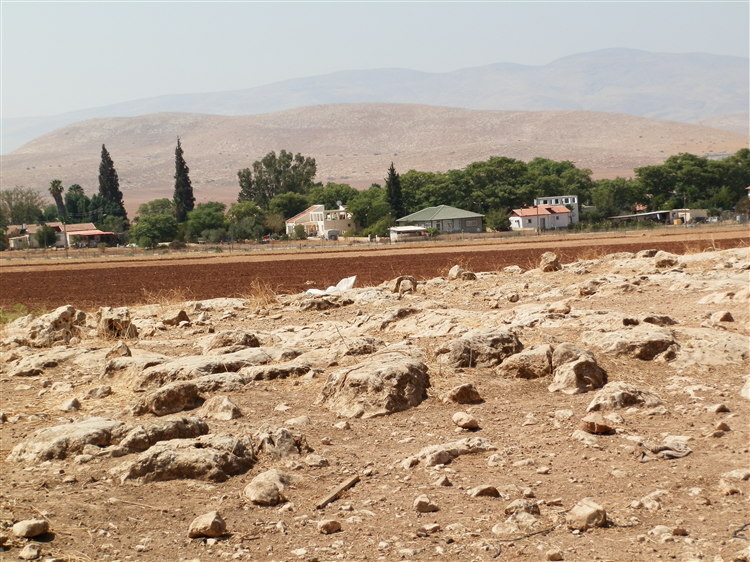 I fell in love with the sweltering Jordan Valley and all its flies during my time in the West Bank. 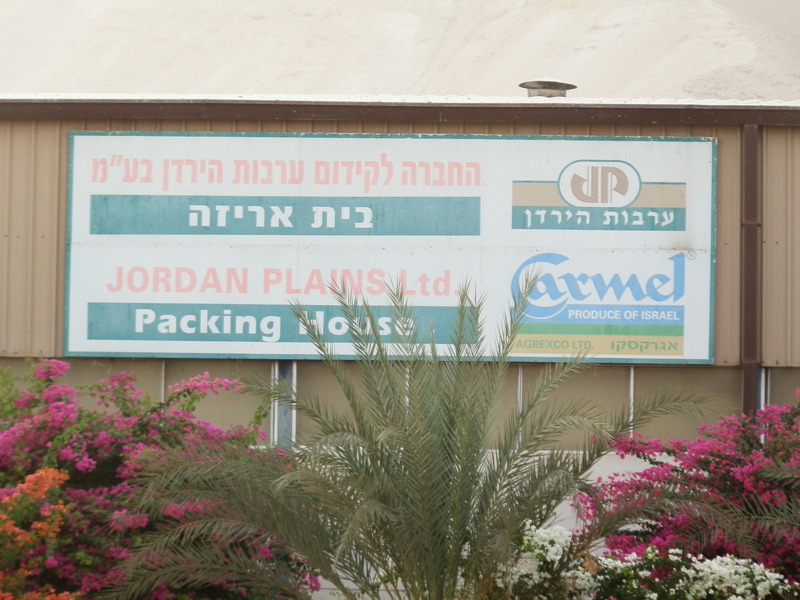 I’m not the only one though… Israel wants it too. 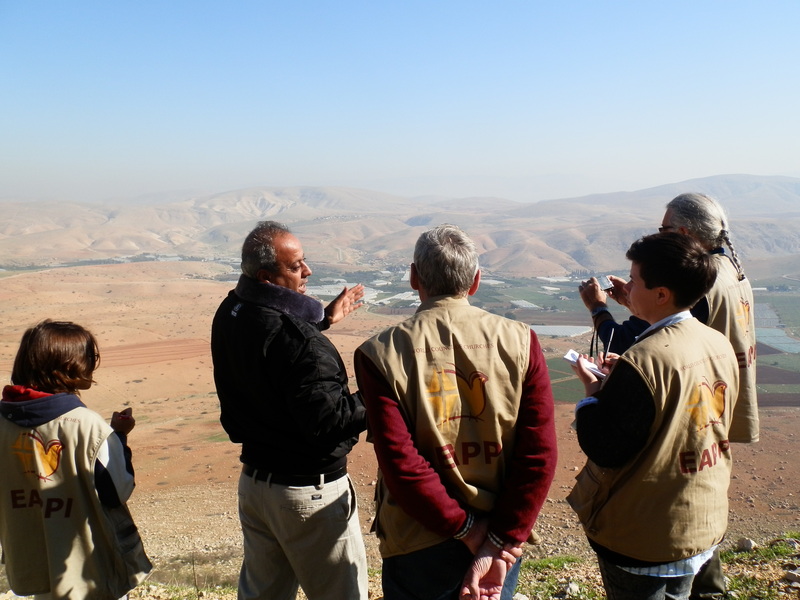 The Jordan Valley is the only remaining connective tissue between the cut-up, isolated Palestinian villages surrounded by illegal Israeli settlements. It is considered the food basket of the land. 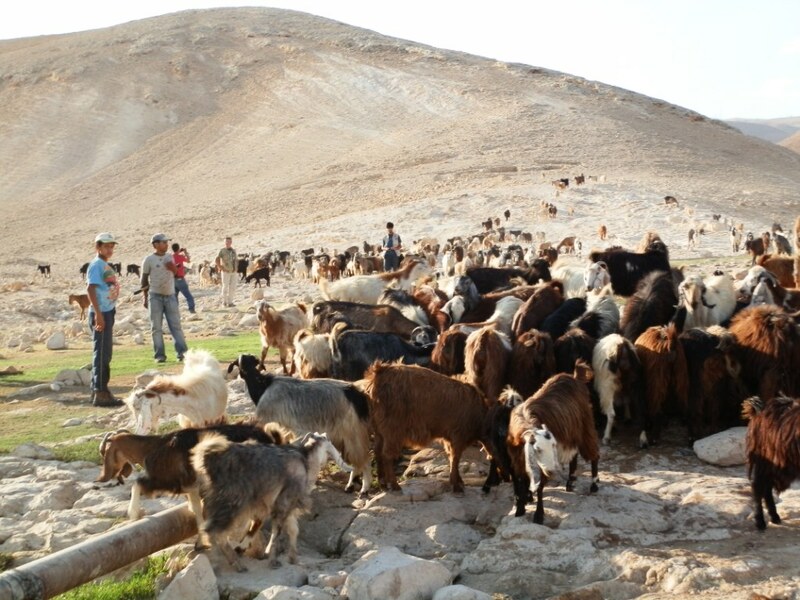 The West Bank (where the Jordan Valley is) was previously occupied by the British and by Jordan, and before them by others, but during those times, the Palestinians could cultivate fruit and vegetables and roam their sheep and goat on their fertile land. Under Israeli occupation, this is no longer the case. 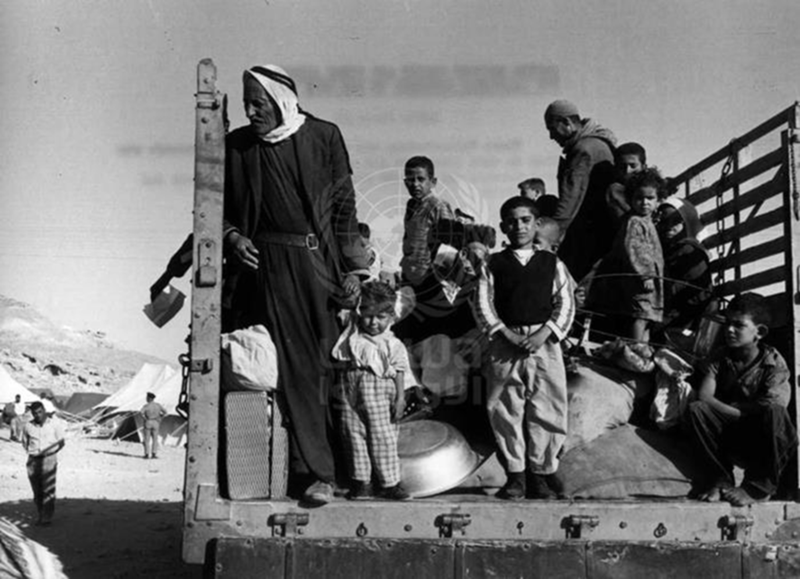 Since the Nakba (Arabic for “The Catastrophe”) in 1948 and the 1967 war, life has become increasingly unbearable for Palestinians. 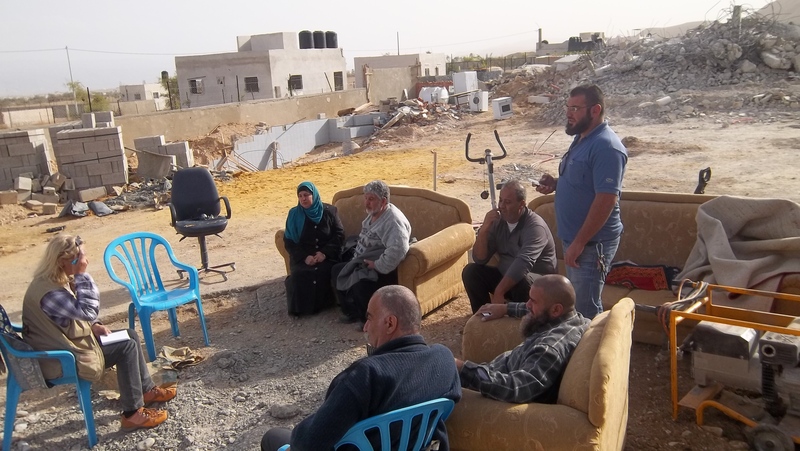 Israel denies the right of the Palestinians to make a living and systematically tries to remove them by forced evacuation. 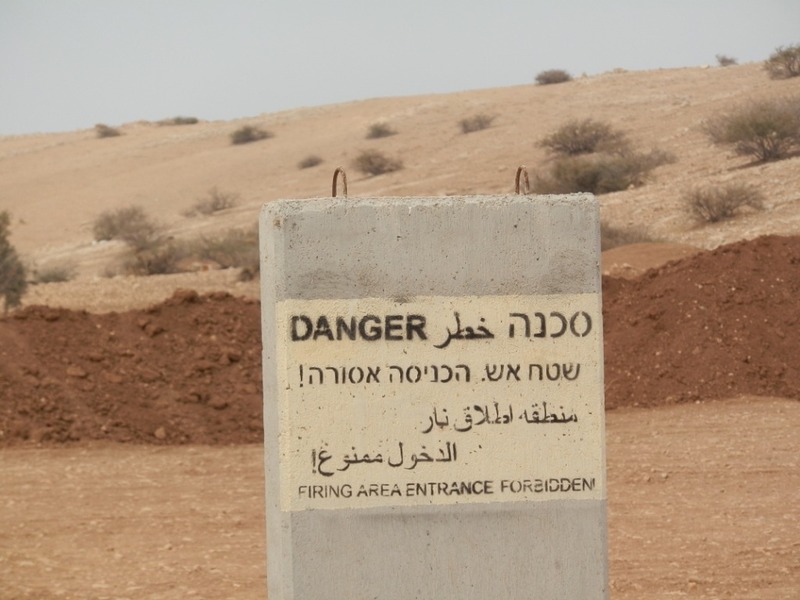 The photo above shows an Israeli sign to keep Palestinians from their own land. 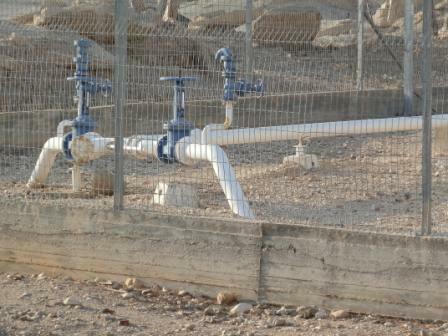 Israel breaches applicable international law by severe water restrictions, demolitions of buildings (mosques, houses, schools, animal shelters, etc.) and the confiscation of Palestinian land. 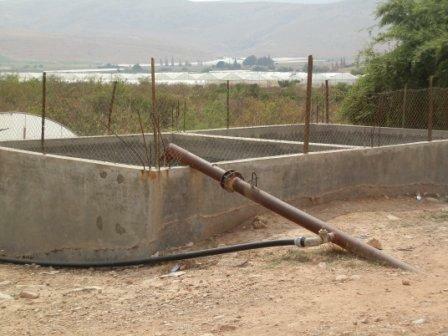 They use these measures to take land away from the Palestinians – supposedly for “military reasons”, but actually to cultivate that land with water they also take from the Palestinians. 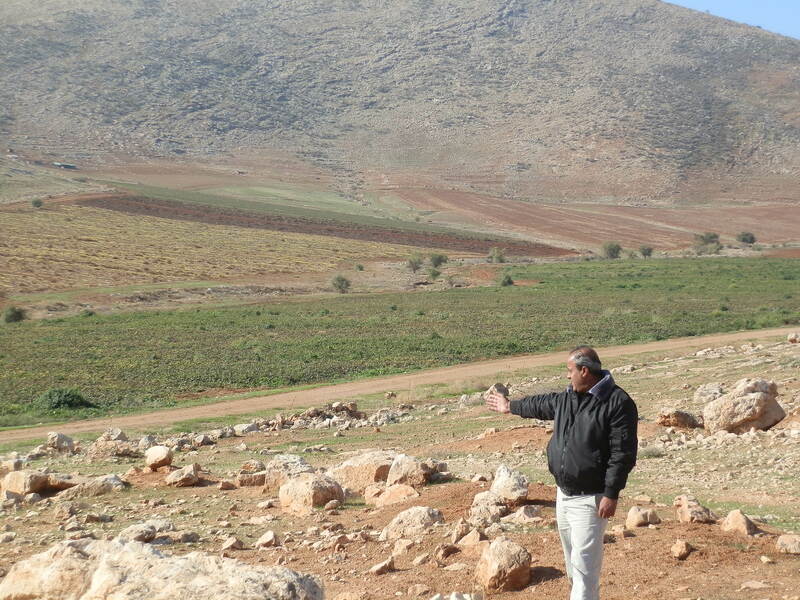 Pointing to the land his family used to own when he was a child, Ghassan explained that his family had been harassed by the IDF to the point where they had feared for their lives (their tent was blown up amongst other things). Eventually, after years of harassment, they were forced to choose between their lives and their land. So they chose to live. Today Ghassan is a taxi driver and he talks peace. 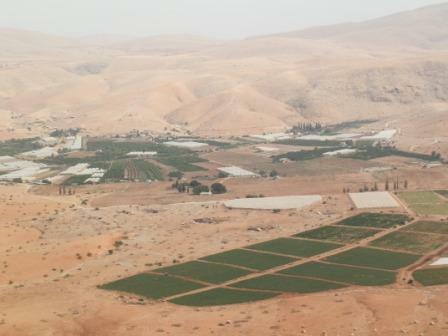 The land is now used by the nearby Israeli settlement for agriculture. 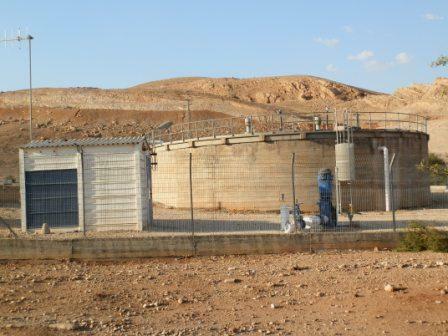 In the Jordan Valley and Dead Sea area, about 10 000 Israeli settlers have the same amount of water allocated to every 833 000 Palestinians. 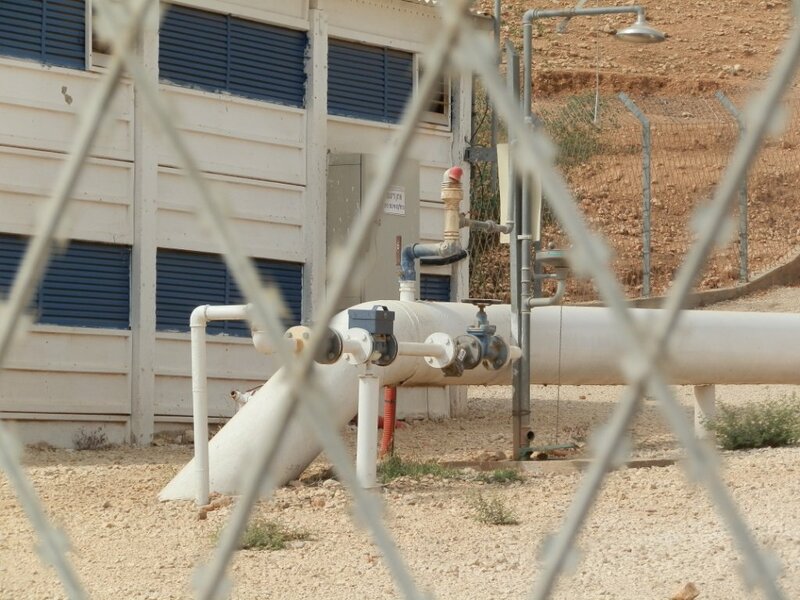 This explains why the Israeli settlements’ gardens and fields are lush green while the Palestinians barely have enough for washing and drinking. 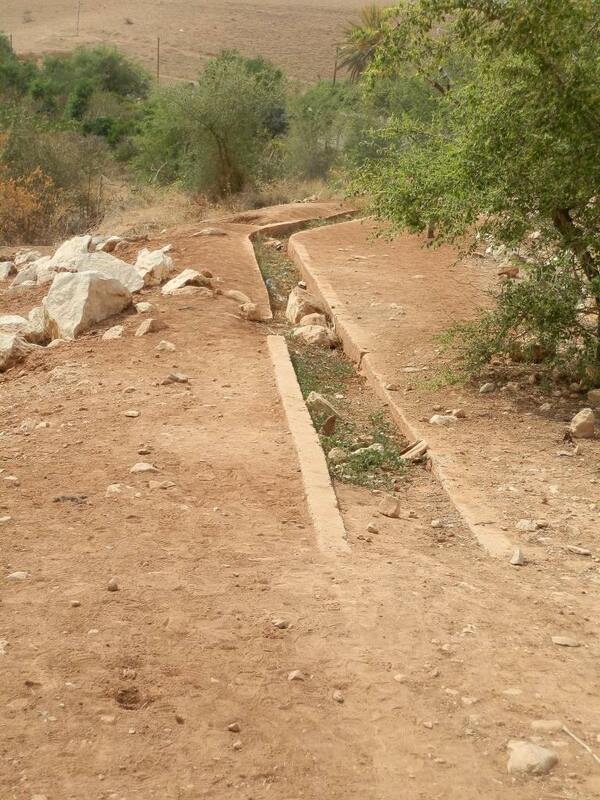 The stark difference between a Palestinian farm and an illegal Israeli settlement with lots of water. As the film crew, Emma and I got into the minibus, Ghassan was still closing the back door of the vehicle on the film equipment. A car stopped next to us. Two people got out and immediately started to angrily harass Ghassan, asking him what he was doing there. 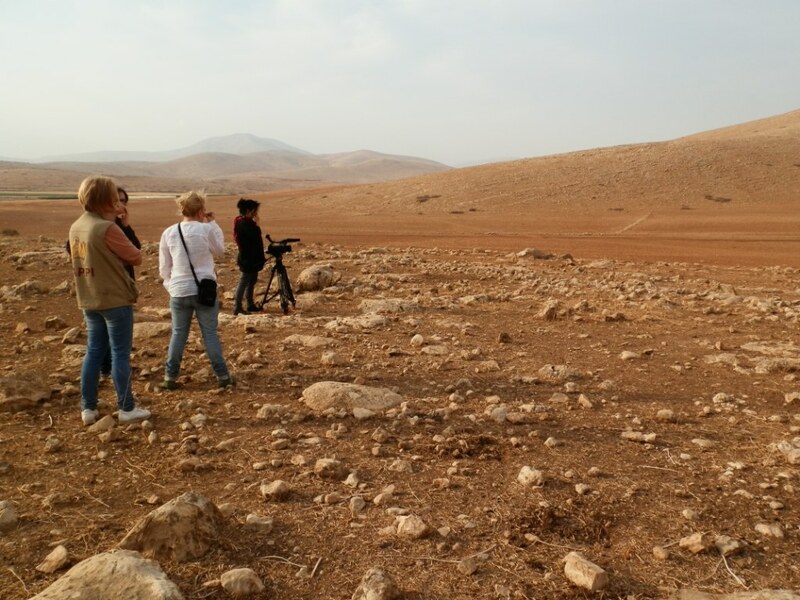 Yes, they who live illegally in the West Bank, asked Ghassan, a legal and indigenous inhabitant, what he was doing on his own land. Somehow this situation reminded me or my own country’s history. And for that very reason, I have hope, for I know that this kind of attitude has changed for so many South Africans. then I support it all. I also realise that our process of reconciliation in South Africa, the one of finding our own humanity and those of others, is not finished. Not by far. Wow this is so cruel and unreasonable.